Born in Indiana and raised by music loving parents in Santa Ana, California, Brandon started playing the piano at age five, violin at eight and was enamored with the alto saxophone by ten. He began working as a freelance musician while still a teenager, and moved to the Los Angeles area in 1982 to embrace the inspiring local club and studio scene. Brandon’s debut recording The Other Side Of The Story came out in 1986 demonstrating what would become the common thread connecting his original recordings, a multifaceted take on songwriting and a high level of interaction with his talented bandmates. Three additional concept albums followed, including A Coffehouse Christmas, Higher Ground (the music of Stevie Wonder), and most recently Fields and Strings, a beautiful collection of standards released in late 1999 on Paras Records. As a sideman, his recording credits reflect his eclectic influences, including Tower of Power, Earth Wind & Fire, Elton John, Quincy Jones, Nancy Wilson, Jewel, B.B. King, Everclear, Bonnie Raitt, Babyface, Toto, Luther Vandross, Luis Miguel, Al Jarreau, Robben Ford, Bobby Caldwell, Los Lobotomys, The Rippingtons, Nancy Sinatra, George Duke, Stanley Clarke, The Temptations, Buzz Feiten, Michael McDonald, Randy Newman, Neil Diamond, Kenny Rogers, David Garfield, Lionel Richie, Queen Latifah, Rob Thomas, Engelbert Humperdink, Harry Connick Jr., O.D.B, and Dave Weckl. Brandon has also been a featured player on several movie soundtracks, including Austin Powers: The Spy Who Shagged Me, Class Action, Bull Durham, 2 Days in The Valley, The Preacher’s Wife, Waiting to Exhale and Dreamgirls. He received a 2002 Album of the Year Latin Grammy for Alejandro Sanz Y Solo Se Me Ocurre Amarte and performed on Ray Charles’ 2005 Grammy slamming Genius Loves Company. 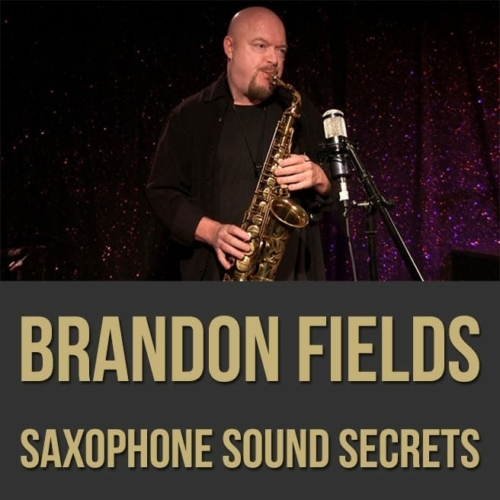 As a clinician for Selmer Saxophones and Rico Reeds, Brandon has taught at some of the premier music camps and schools around the world. He has toured with several prominent performers including George Benson (1985-86), Kenny Loggins (1987), The Rippingtons (1987-89), Tower of Power (early 1990’s), Earth Wind and Fire (1995), and the Dave Weckl Band (1998-2002). Since June 2006 he has been performing with Barry Manilow for the legendary star’s house gig at the Las Vegas Hilton. When he’s home in Los Angeles, Brandon continues to write and record, honing his skills on a variety of auxilliary instruments (flutes, keyboards, and percussion), and to play at his favorite L.A. area clubs in both acoustic and electric settings, performing original material and arrangements of current faves, combining his wide range of influences into his own unique expressive instrumental style.